Some of them look homemade, but this electrical box is running out of display real estate. I believe this is officially the Main Entrance to the Minnesota History Center. It's adjacent to the street. However, parking is on the other side of the the building. So if I were to guess, most visitors enter from different doors. Metal, wood, graffiti, nails....oh my! Just a closer view of one of the towers on the Saint Paul Cathedral in the city of St Paul. It's unknown to me, because I don't have any info on this. I see there is a plaque right there at his feet, but I never took a look at it to see what it said. The statue is located on the State Capital grounds. I know there was a military type building right next to where this is. I know, it's not much info, but I though the 12 to 15 foot tall statue was interesting with the backdrop. I was trying to capture the morning dew the other day as it looked very interesting. The tops of the blades of grass all had a drop of moisture resting on the top of it. The sunlight reflecting off it made it shine enough to catch my interest. Not sure if I capture it right or what I could do to improve a shot like this. Perhaps a smaller area? The Saint Paul Cathedral was built on the highest hill in the city of St Paul so it could be seen from almost anywhere in the city. It is true, you can see it from many areas, plus it's visible from several cities away in certain places. 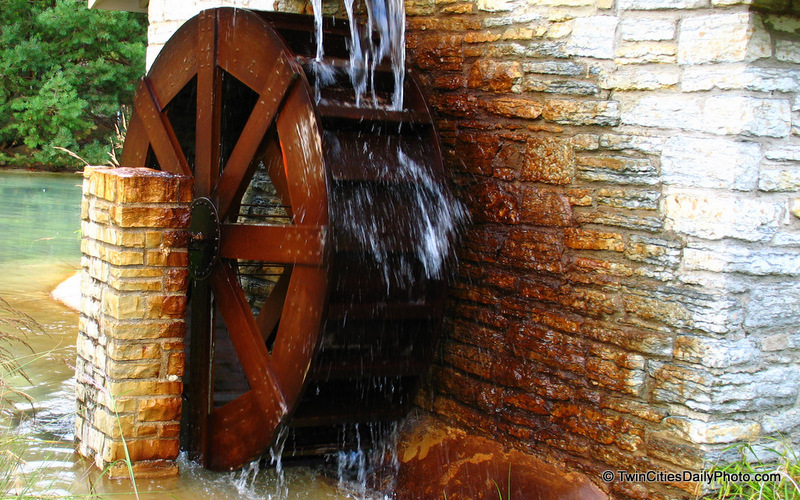 The water wheel from Como Park. I Found $500 Dollars....granted, it was Monopoly money. This was taken earlier in the spring, but the path leads up the the Minnesota State Capital Building. You can just make out the top portion. I would bet, if I were to take the same shot today, the dome would not be visible. At first glance, I saw a sticker with three cats on it with crazy teeth. After looking at the teeth a bit closer, I see they are words. It looks like "CUTE CRIMES CREW". After a quick google search, it is Cute Crimes Crew and there is quite a bit of photos of their work. I found one that looks like it has been there a while. Located down the hill near the Cathedral. Following up from my May 31 update, I had wrote about a very tall statue that overlooked the capital building and downtown St Paul. I had thought the statue was erected for the first settler to the area. The statue is for Josias R. King. Enlisted in Co. A of the First Minnesota Infantry on 4/29/1861. King is often thought to be the First Volunteer to the Union Army, though Aaron Greenwald and 5 other men enlisted in Anoka, Minnesota earlier that day. Josias survived the war and Aaron did not. Thus Aaron was not around to defend his case, and Josias' claim of being the first to volunteer for the Union was left to stand by most people. Captain Josias R. King died on February 19, 1916, Saint Paul, Minnesota. Welcome Theme Day visitors. Welcome to my version of Tranquility. 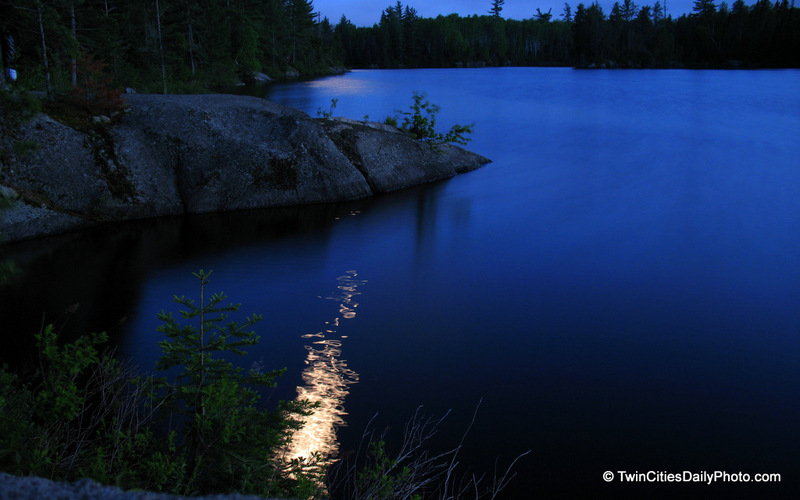 This shot was taken in the Boundary Waters Canoe Area about 50 minutes after the sun set. The light streaks on the water is moonlight.